Volvo’s spin-off performance subsidiary Polestar has announced the location for its first Polestar Space retail concept, which will be sited in the all-important EV market of Norway. 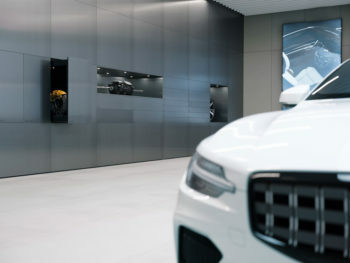 Intended to bring a radical alternative to traditional dealerships, the Polestar Space concept is designed to enable customers to test-drive cars and speak to Polestar experts without any sales pressure – the stores will be staffed by non-commissioned product experts – complementing the digital retail experience. The inaugural Polestar Space will be sited in downtown Oslo on Øvre Slottsgate and will open in the middle of 2019. The global network will expand to include around 60 Spaces by mid-2020. The launch of the first Polestar Space comes as Polestar ramps up for the launch next year of its debut plug-in hybrid, the Polestar 1 coupe, which will be followed in 2020 by the Polestar 2 saloon, which will rival the Tesla Model 3, and the Tesla Model X-rivalling Polestar 3 around 2022.